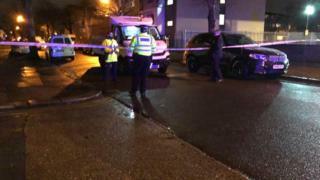 The family of a man shot dead in north London have said they do not want vengeance, but just “want the violence to end”. Richard Odunze-Dim, 20, was shot last Tuesday at about 21:15 GMT in St Joseph’s Road, Edmonton. His death was the 131st homicide in London this year. 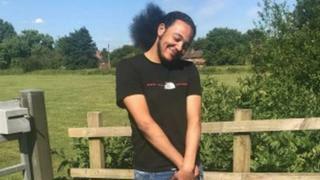 Two men, aged 19 and 23, were arrested on suspicion of murder on Sunday and remain in custody. “Whoever knows anything about this must come forward and assist the police. Whoever is protecting these individuals must come forward,” his family said. “Our circumstances are no different – too many families have gone through the pain that we are going through now. Det Ch Insp Gary Holmes called Mr Odunze-Dim’s death a “senseless act of violence”. “Although we have two suspects in custody, I urge anyone who may have witnessed this murder or who has information to contact police without delay,” he said.